Check the suspension on a test drive to make sure it can handle Bolingbrook potholes. Test the air-conditioning system to ensure if it's functioning correctly. Even if you're test driving during the day, turn the headlights on and off. Why Shop for a Used Van at Chevrolet of Naperville near Romeoville? 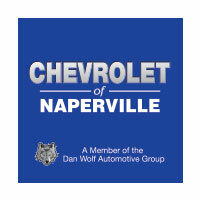 When you choose Chevrolet of Naperville for your next used van, you get a shopping experience that's a step above other dealerships. Our service team will be able to take care of all your van maintenance needs, and you can even schedule service online. If a van in our inventory catches your interest, schedule a test drive to see how it handles on the open road.